Sebastien Tellier's music has always fused perfectly with images. Some directors have come to Sebastien for original scores such as Gilles Lellouche & Tristan Aurouet's "Narco" (2004), as well as being a part of the soundtrack to memorable moments: for Sofia Coppola's "Lost in Translation" (2003) in which Scarlett Johansson hangs around her room in Tokyo, and Daft Punk’s selection for the cult scene of "Electroma" (2006) in which the robots take off their masks in the bathrooms of a bar! 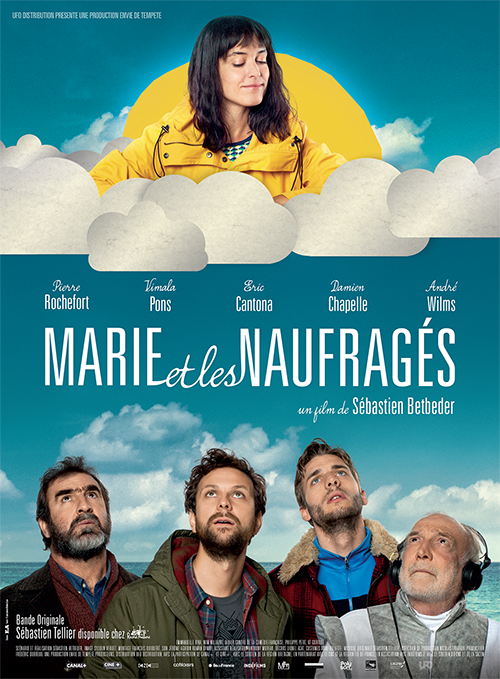 Another Sebastien… Betbeder, asked Sebastien Tellier to compose the music of his new film, "Marie et les naufragés" (translated: "Marie and The Castaways"). For this score, Tellier chose a retro-futuristic electronic path in the tradition of Giorgio Moroder's music in keeping with the with free and off-the-beaten path tone of this film starring Eric Cantona. With the help of friends and fellow musicians John Kirby and Daniel Stricker, Sebastien has diffused the film‘s languid themes with tributes to Marvin Gaye or to Ennio Morricone... If you like instrumental music with a deeply sensual twist, this record is for you! Available now in vinyl (1xLP - MP3 included), CD (digipack), and digital! Watch the teaser of the soundtrack, featuring Sébastien!